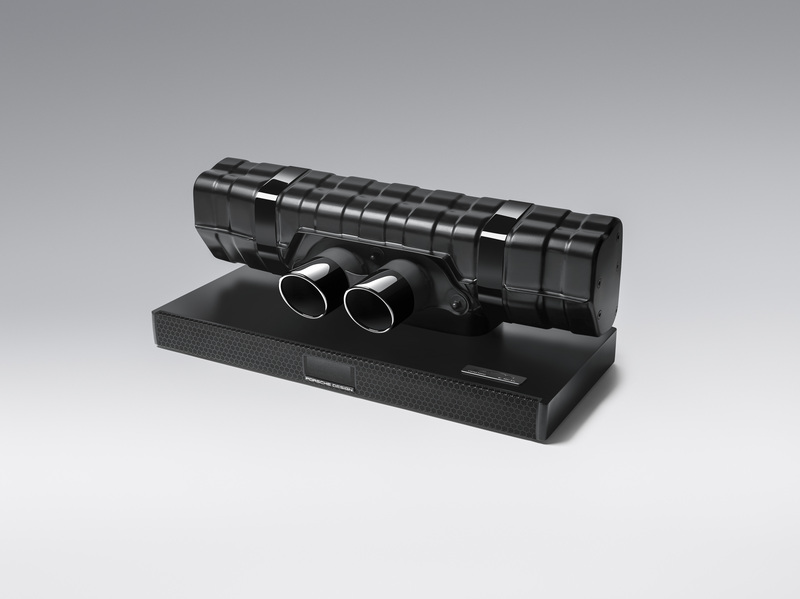 The new Porsche Design 911 Soundbar Black Edition transforms the exhilaration of Porsche’s 911 GT3 racecar into an intense musical experience, delivering crisp mids, powerful bass, and visual-excitement to any space. 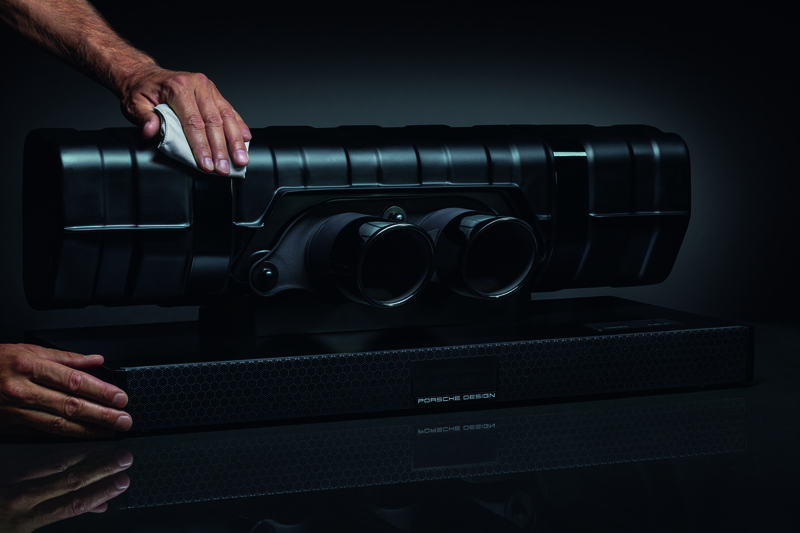 The loudspeaker – limited to only 911 units – features the original rear silencer and tailpipe trim of the 911 GT3, giving the exclusive piece a familiar sensation reminiscent of the racetrack. 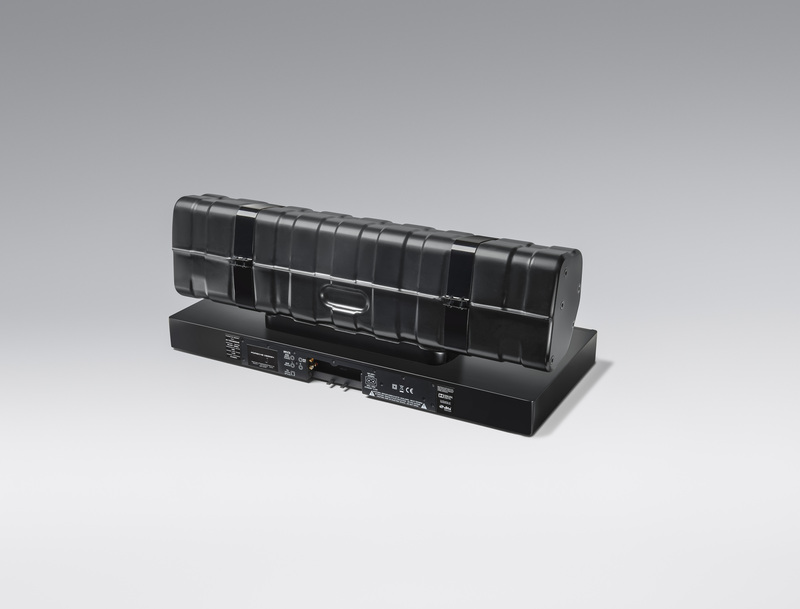 The 911 Soundbar Black Edition combines true hi-fi technology with functional design, highlighting the hand-finished original parts of the 911 GT3. 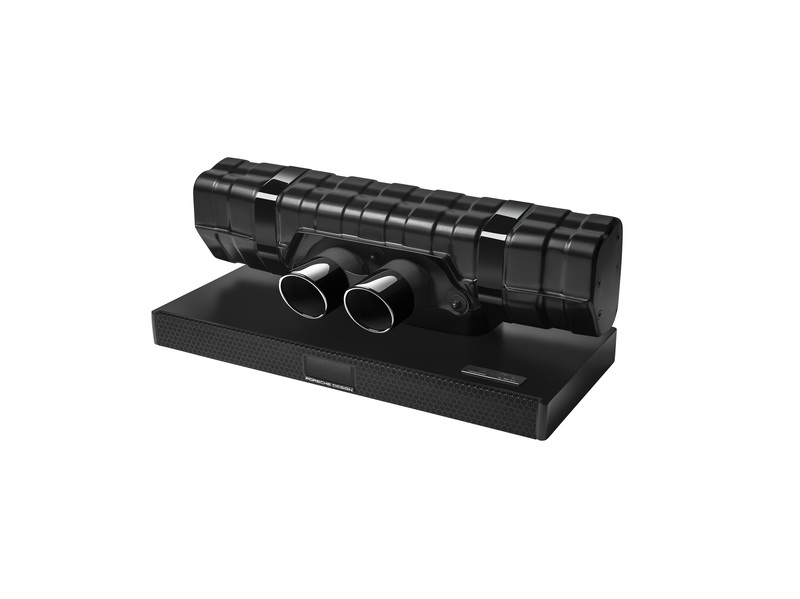 Its powerful rear silencer and distinct tailpipe cover now function as subwoofers, which guarantee smooth, rich bass tones throughout listening. 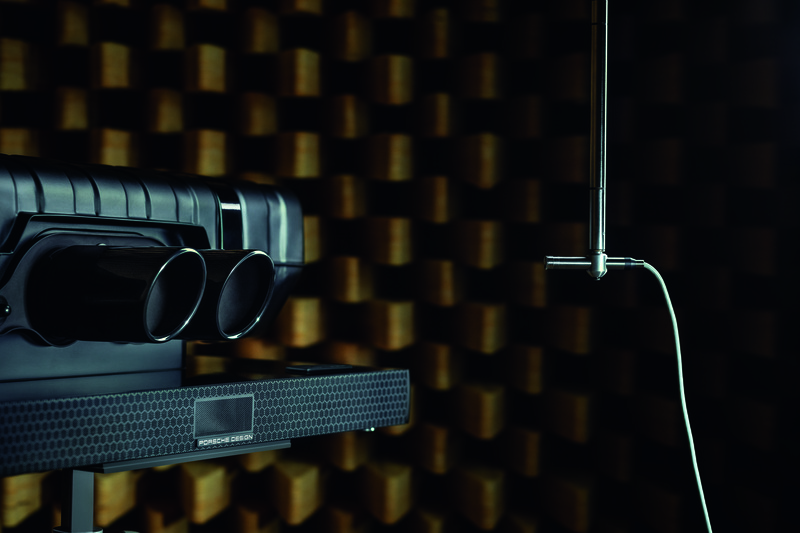 Employing modern acoustic testing procedures ensures the high-end system delivers flawless sustained sound quality. 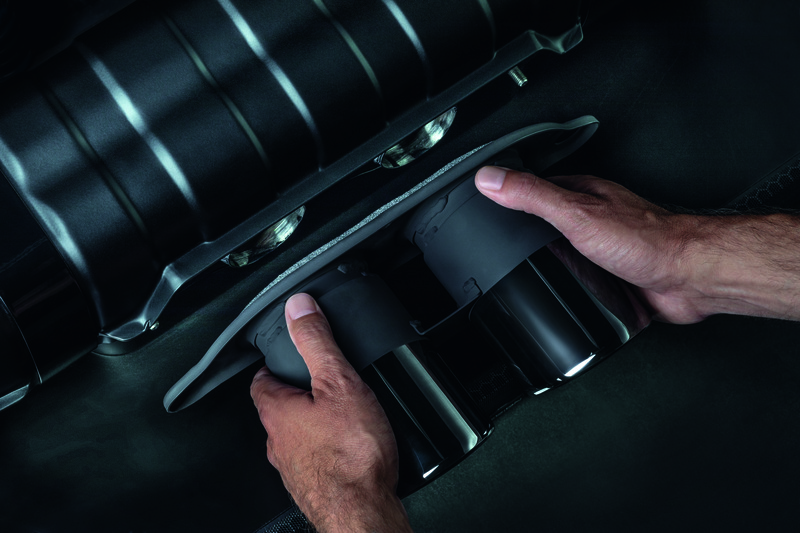 After finely sanding and polishing the rear silencer, a specially applied powder coating gives the unit a durable matte black surface. 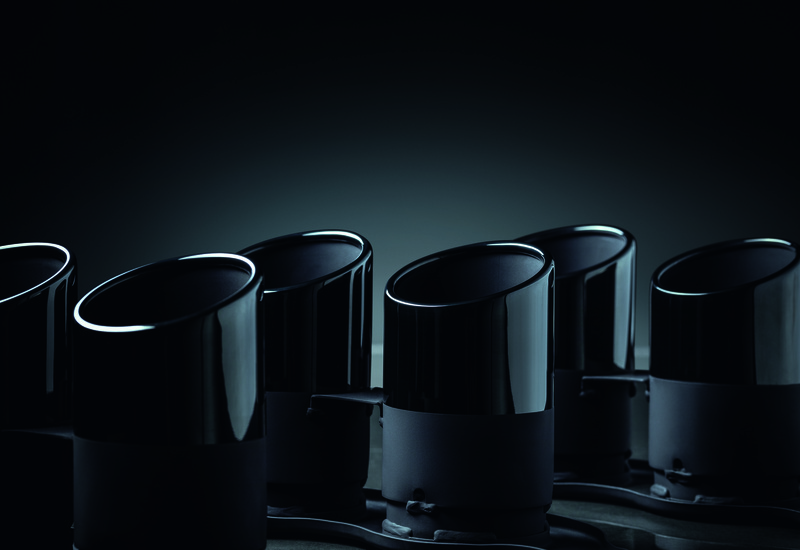 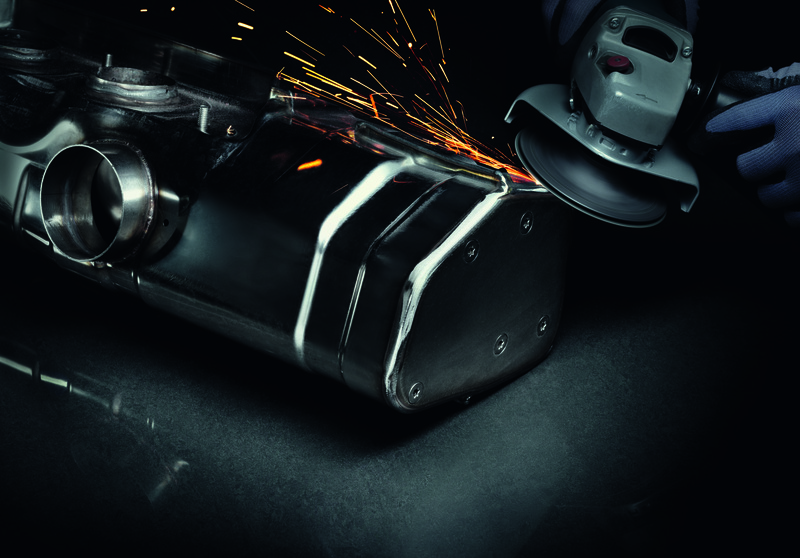 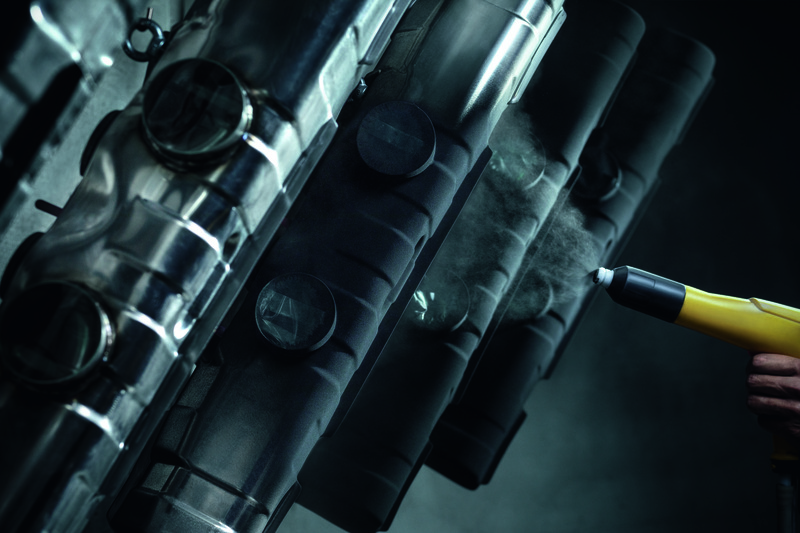 The glossy black surface of the tailpipe covers attractively contrast this effect. 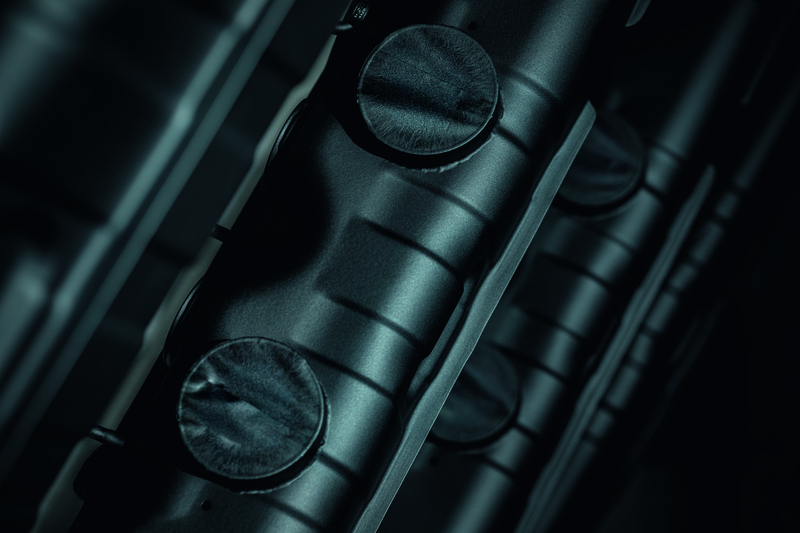 In addition to iconic design, the 911 Soundbar Black Edition utilizes state-of-the-art technology to achieve unparalleled acoustics and powerful bass, including a 200-watt high-quality 2.1 virtual surround system, Dolby Digital decoder, DTS TruSuround™, Bluetooth® 3.0 wireless interface, stereo and virtual surround sound, a single analog and two digital analog inputs, as well as an LED display. 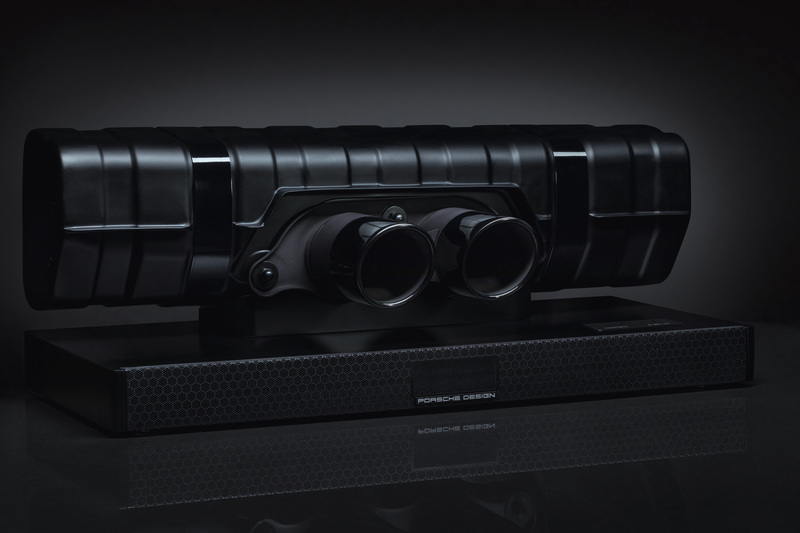 The 911 Soundbar Black Edition retails for 3500 euros (RRP) and is currently available for pre-order at www.porsche-design.com. 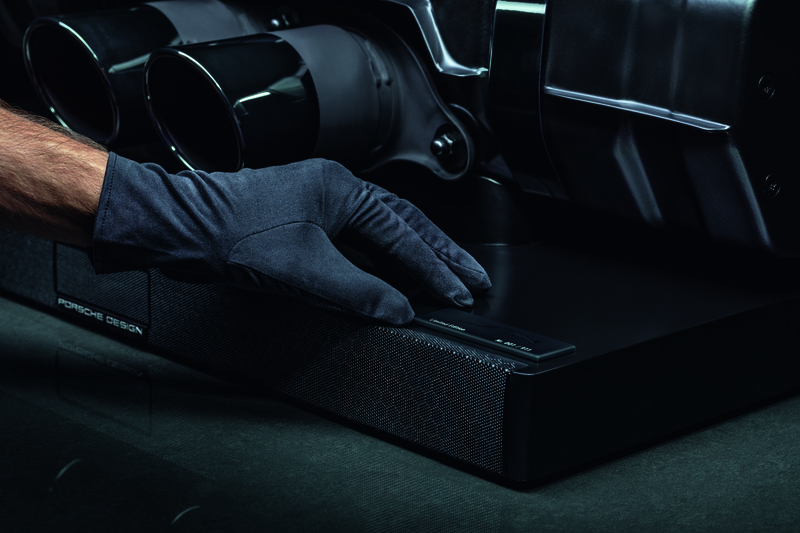 Deliveries and in store purchases at Porsche Design Stores and Porsche Centers begin October 2018.